This week’s update adds the last batch of natural combat environments. With all terrain on the worldmap accounted for in combat, we can cross another item off of our list towards a finished game! 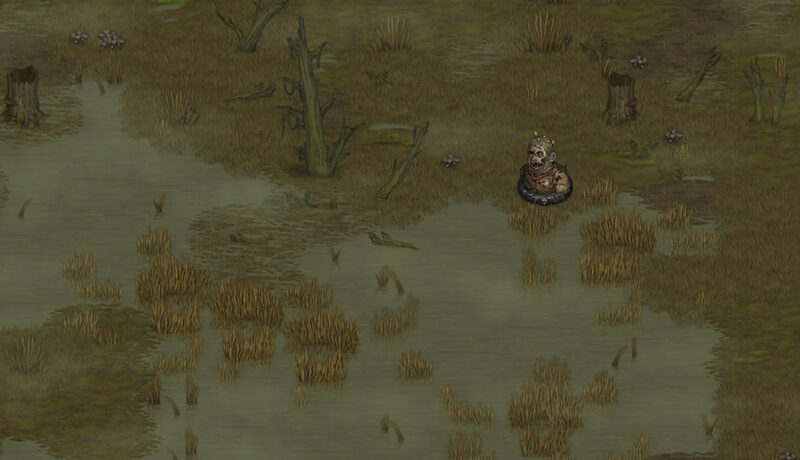 Swamps received a major overhaul for a much sleeker look, as you can see below. Picking a fight on hilly terrain on the worldmap now actually results in hills in combat, so there is now a benefit to retreating to hills or luring enemies there to make a stand. Finally, snowy forests now look appropriately, and mountains come with their very own new combat environment full of crags and ravines. With all this done, we move on to work on adding more contracts, having locations like bandit camps being present on combat maps, and doing lots of UI work necessary before implementing certain new features. Because some of those items require longer periods of development and testing, we’ll transition again to have larger but less frequent updates to the game for a while. Depending on what we’re working on, it could be several weeks between those more meaty updates. We’ll keep you updated as we go along. Added new swamp combat environment. Added new mountainous combat environment. Added new snowy forest combat environment. Added new hilly combat environments for grassland, tundra, steppe and snow. Changed ‘Swipe’ scenario to use the new forest environment. Changed ‘Early Game’ scenario to use the new swamp environment. Fixed mountains, snowy forests and shores on the worldmap not being linked correctly to their combat environments. Requires starting a new campaign to take effect.